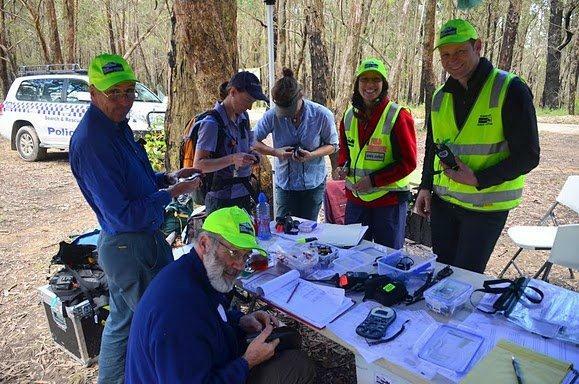 Our annual training weekend this year will provide BSAR members and experienced bushwalkers with training in the skills required for bush searching. Participation in a Victorian Rogaining Association (VRA) rogaine on Saturday is ideal for BSAR members as it is a close match to what is expected of us during a search; accurate off track bush navigation in small groups. This 12-hour event will provide ample opportunity to practise navigation in friendly team environment. If you are unable to register as a team, don’t be put off – we’ll find a compatible partner for you or team for you to join. Sunday will focus on search specific aspects, including a mock search and evacuation. BSAR members are strongly encouraged to attend so please note this weekend in your diary. Training weekends are also a great opportunity for members to get to know one another and to catch up with old friends. Participants are expected to attend both days. We particularly encourage appropriately experienced people who are considering or who anticipate joining BSAR in the near future to attend the weekend. You will be made most welcome. The level of skill and experience required for joining BSAR is on the website (see www.bsar.org/joining ). The location for the weekend is near Eldorado in north-east Victoria. Police bus transport will be provided, departing early Saturday morning from our rendezvous and parking area at the end of Green Street, Northcote and returning early evening on Sunday. Bring equipment for camping Saturday night. Maps for the rogaine and Sunday’s activities will be supplied. Bring your copy of the Search & Rescue manual, your lunches and filled water bottles. The VRA will provide dinner on Saturday night and breakfast Sunday. Further details will be made available over the coming weeks through Club Delegates and by email to members. Closing date for those interested in attending is Wednesday, 10th October.